Much easier than making up your own cables! Note that only an DIGITAL interconnection cable is included. See my other listings if you plan on using Analog Audio I/O on your ASI Sound card, or ask me to quote for adding a analog interconnect cable into the carton. Note that the BOB1024 can only be operated in either Digital or Analog mode so you only need one cable of the appropriate type. The BOB1024 is a breakout box for AudioScience audio adapters. 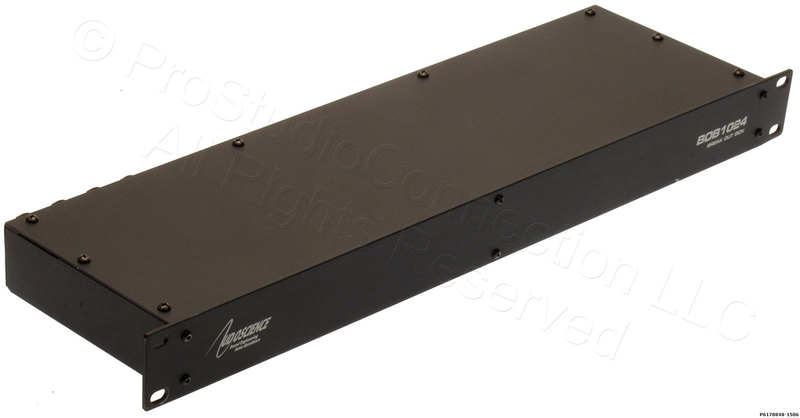 It can be operated as either an analog breakout (2 stereo in and 4 stereo out) or AES/EBU digital breakout (4 stereo in, 6 stereo out and sync in). Two BOB1024s can be ganged together to provide 4 stereo inputs and 8 stereo outputs in analog mode. All I/O is balanced on XLR connectors. 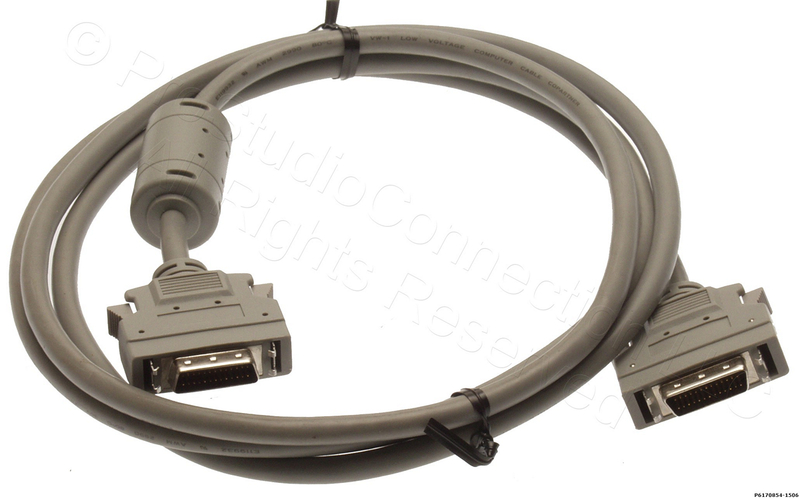 Connections to the audio adapter are via a 50pin high-density SCSI type connector [Not Included] for analog and a 26pin high-density connector for digital (AES/EBU) [Included]. The BOB1024 is 1RU; 19" W x 5.5" D x 1.75" H (482.6 mm W x mm 139.7 D x NN mm 44.5 H). Makes light work of interfacing your console to your Production/Playout System!